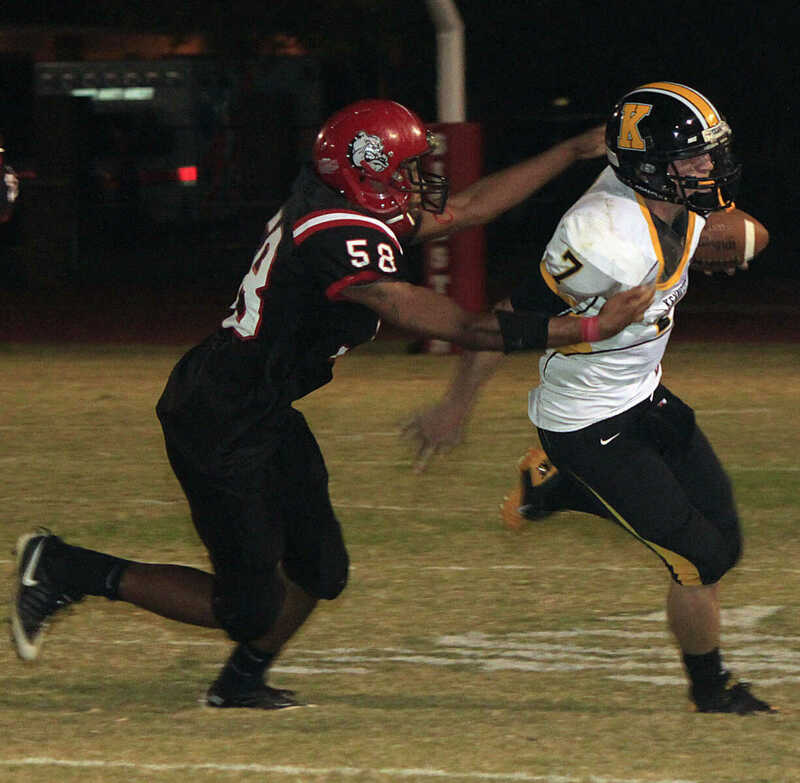 Kennett's Antavies Drake prepares to punt. 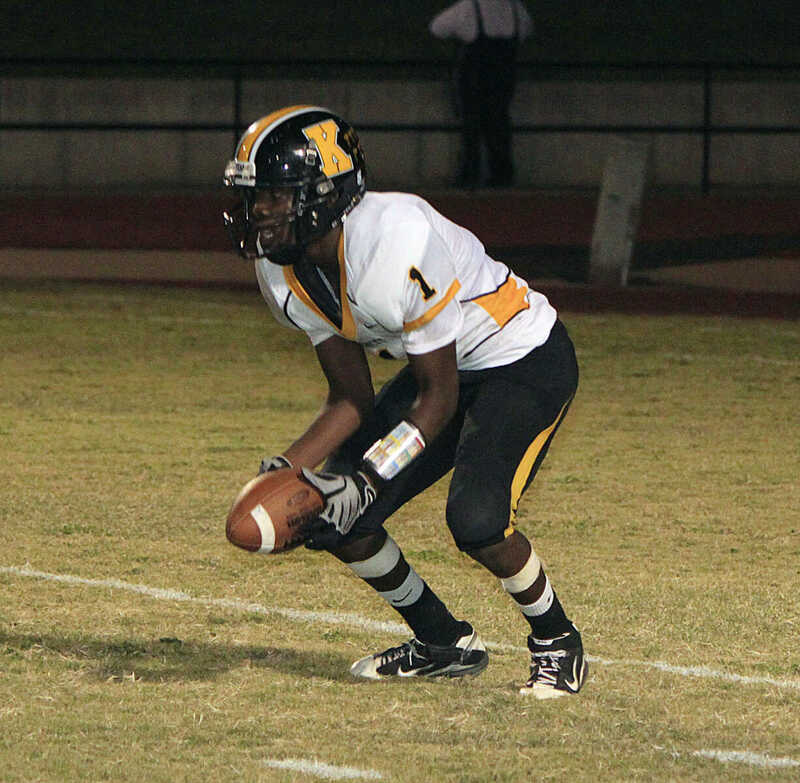 Kennett's Darius Warren (No. 34) shortly after completing a run. 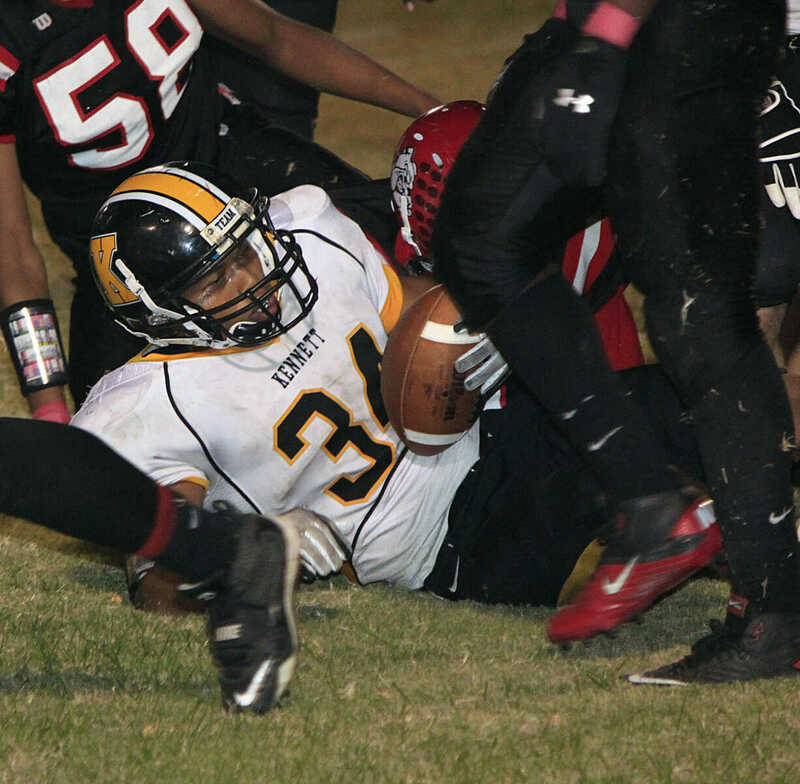 Kennett's Adam Grantham (right) attempts to escape Sikeston's Matt Green. 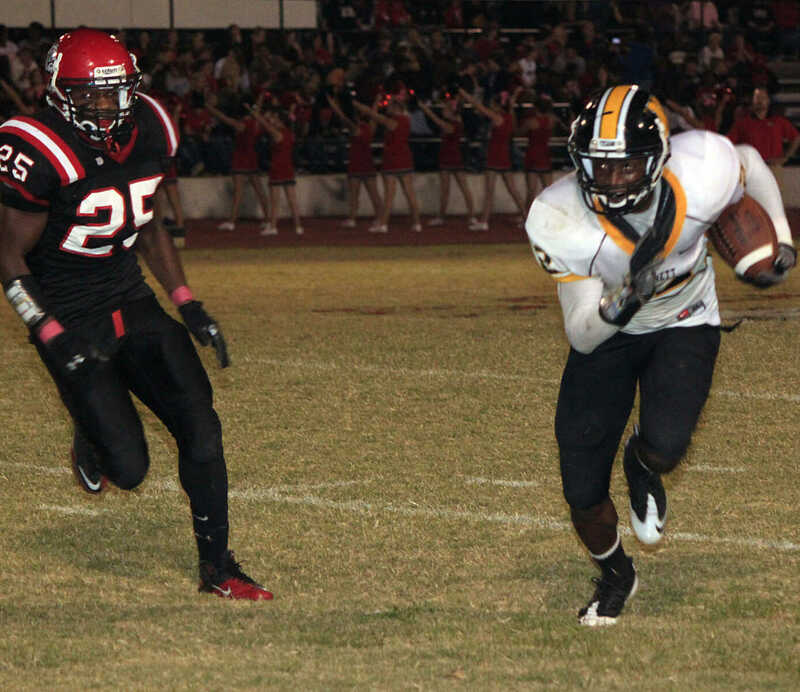 Kennett's Cameron Harper (right) rushes the ball past Sikeston's Aundrea Golden toward the sideline. 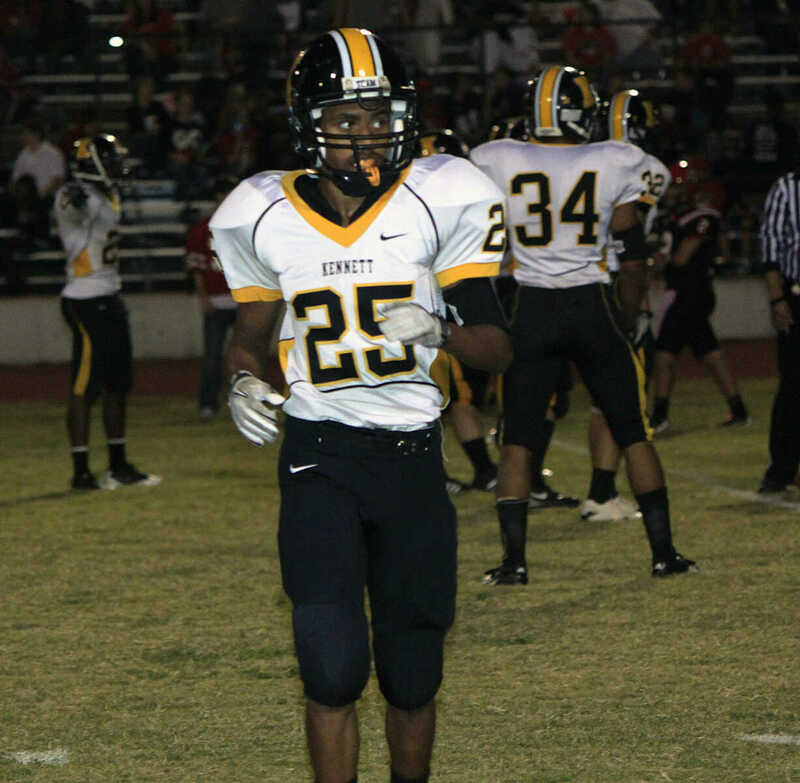 Kennett's Treyvon Bradford makes his way off the field.